With an average rating of 8.92 (out of 10), golfers have awarded Terre Blanche Resort with the title of Best Golf Club in France in 2017. The Golfers' Choice rankings are based on 350,000 reviews written by golfers across Europe on Leadingcourses.com. Over 250,000 golfers visit Leadingcourses.com each month. Based on their rankings, Terre Blanche Hotel Spa Golf Resort ***** has been voted Best Golf Club in France with an average rating of 8.92 in the Golfers' Choice Rankings. The rankings for best golf club are compiled based on numerous aspects influencing the quality of the golf club, the golf course itself, the overall impression of the club, maintenance, facilities, clubhouse and the perceived value for money. 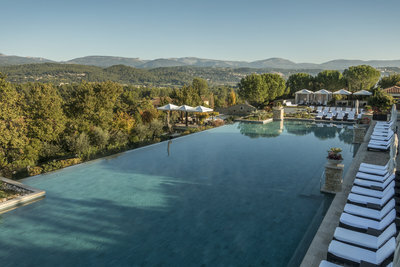 Nestled in unspoilt lush nature and offering the best of authentic Provence, Terre Blanche Hotel Spa Golf Resort ***** is a perfect getaway for lovers of golf. The five star resort is home to two 18-hole championship golf courses - Le Château and Le Riou - which were designed by renowned architect Dave Thomas and are inspired by the natural surroundings. The golf courses perfectly blend into the landscape. Their beauty and high quality as well as their perfect maintenance are truly impressive. The courses are well-integrated at the heart of a preserved site. Runner-up in the ranking of Best Golf Club in France 2017 is Les Aisses Golf. This tree-lined course designed by Martin Hawtree has 27 holes and is situated in the heart of France, only 150 kilometers south of Paris. Les Aisses is rated with a 8.90. France's top-3 list of Best Golf Clubs is completed with Golf De Fontainebleau. Inaugurated in 1909, the Fontainebleau golf course is one of the oldest in France. Users rate it with an 8.81. Every year numerous rankings circulate, announcing the best golf courses in a specific country. The Leadingcourses.com Golfers' Choice rankings stand out because they are based on reviews written by actual golfers. These reviews can be consulted online at any time. This makes these rankings the most up-to-date, transparent and independent in the golf industry. When a golf club has gathered sufficient reviews they are eligible to qualify for the Golfers' Choice Rankings. To make sure that ratings stay relevant, reviews are devalued over time. In 2017, Leadingcourses.com rankings have been published in 12 countries, France included. At the end of 2016 more than 350,000 reviews about golf courses (in nine different languages) were available on Leadingcourses.com. All reviews on Leadingcourses.com are verified and manually approved by a dedicated content team. Golfers who review multiple golf clubs receive a higher status and his or her review will therefore have more weight (and thus more impact) in the overall score of a club. To avoid any manipulation of the rating, various checks and balances are in place to track and signal questionable conduct by users. Leadingcourses.com's aim is to help golfers to play on the best golf courses available, based on their handicap, demands and location. For instance, golfers can quickly see how other players with a similar handicap value a certain club or course. Obviously they can also view the overall rating, based on all opinions. The site was founded in 2007 and has an active golf community. At the end of 2016 it had over 350,000 reviews, more than 20,500 golf clubs and 24,500 golf courses were mapped in more than 130 countries. As Leadingcourses.com values cultural differences, the site is available in nine different languages. 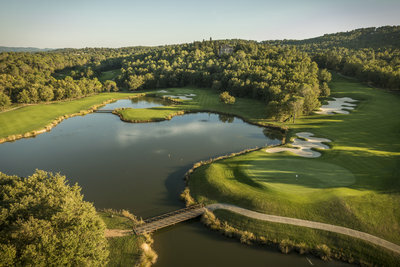 Terre Blanche élu Meilleur Golf de France 2017 ! Leadingcourses.com se lance en France ! A 1 an de la Ryder Cup 2018 qui se jouera au Golf National dans les Yvelines, Leadingcourses.com qui propose près de 25 000 parcours de golf sur sa plateforme, décide de se développer en France pour offrir aux golfeurs français la possibilité de jouer sur des parcours adaptés à leurs attentes. Golfers have awarded Golf De Morfontaine with the title of best golf club of France in 2016, with an average rating of 9,42. The Golfers' Choice rankings are compiled based on 300,000 reviews from golfers across Europe on Leadingcourses.com. Les golfeurs ont proclamé Les Bordes Golf comme le meilleur club de golf de France avec une cote moyenne de 9,3. 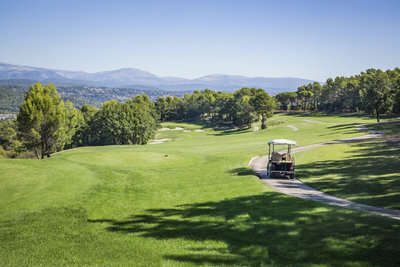 Terre Blanche Hotel Spa Golf Resort (9,2) est le numéro 2, suivi par Golf De Fontainebleau (8,7). 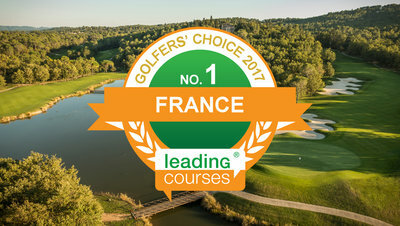 Les Golfers’ Choice-classements sont basés sur 340.000 avis de golfeurs du pays et de l’étranger sur Leadingcourses.com. C’est la deuxième fois que Leadingcourses.com publie un classement pour la France. Les golfeurs ont proclamé le Golf & Country Club Limburg comme le meilleur club de golf de Belgique avec une cote moyenne de 8,6. Royal Latem Golf Club est le numéro 2, suivi par Royal Waterloo Golfclub. Les Golfers’ Choice-classements sont basés sur 230.000 avis de golfeurs du pays et de l’étranger sur Leadingcourses.com. C’est la deuxième fois que Leadingcourses.com publie un classement pour la Belgique.